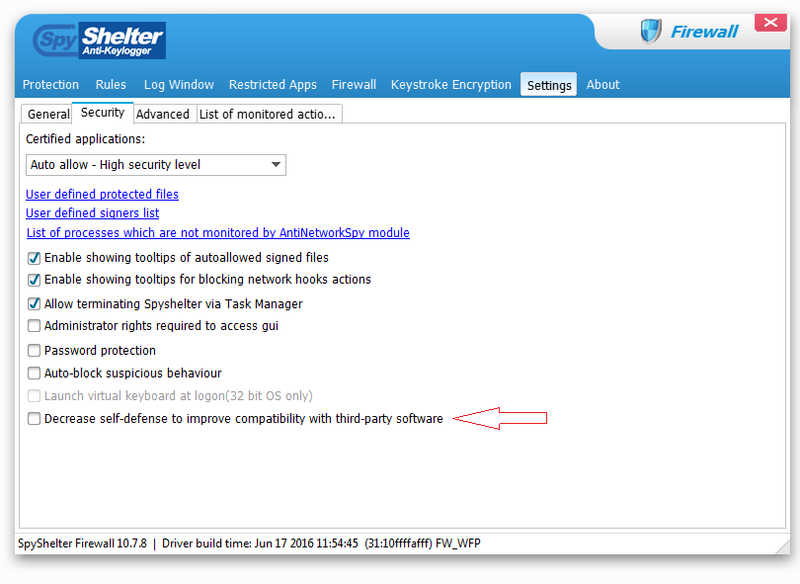 SpyShelter 10.7.8 brings a couple of new features and improvements. We have added an option which makes it possible to operate SpyShelter via various Remote Control applications (such as Teamviewer). This option is available in Settings>Security and is turned off by default. System restart or SpyShelter restart might be required after enabling this option. 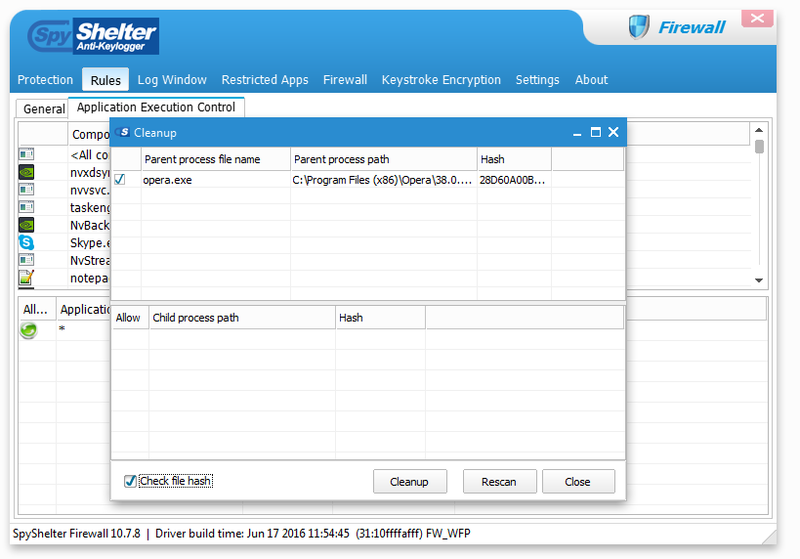 Application Execution Control at SpyShelter Firewall received a Cleanup feature. It allows to clear the rules created for temporary and nonexistent files. In order to clean up the rules in App Execution Control, simply right click on the list of applications and choose Cleanup option from the dropdown menu. Keystroke Encryption received further compatibility upgrades and a rare crash that could occur on 32bit systems has been fixed.